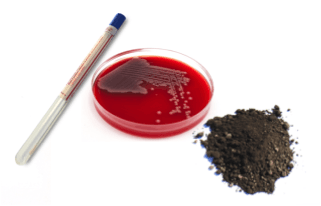 To use your lab’s existing thermocycler or liquid handler, choose the prepGEM Bacteria Kit, optimized to extract DNA from a broad range of bacterial sample types. The reagents are rigorously tested and QC’ed to guarantee them to be DNA-free. 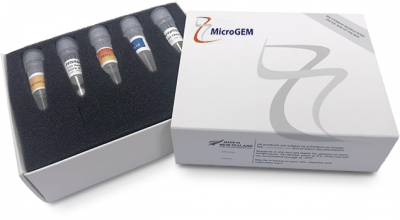 This kit produces single-stranded DNA suitable for PCR, qPCR, targeted sequencing (amplicon sequencing) from metagenomic samples, and 16S ribosomal DNA sequencing. 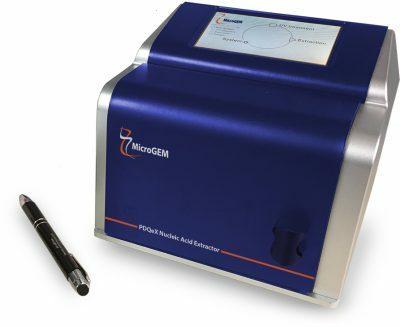 MicroGEM’s automated technology provides easy sample preparation and extractions, with added capabilities to generate purified, double-stranded DNA. Use our PDQeX instrument if you are working with inhibitory samples (for example soil and stool) or performing NGS (Next Gen Sequencing) or require double-stranded DNA for library construction. This kit produces double-stranded DNA suitable for whole genome sequencing, PCR, qPCR, targeted sequencing (amplicon sequencing) from metagenomic samples, and 16S ribosomal DNA sequencing.